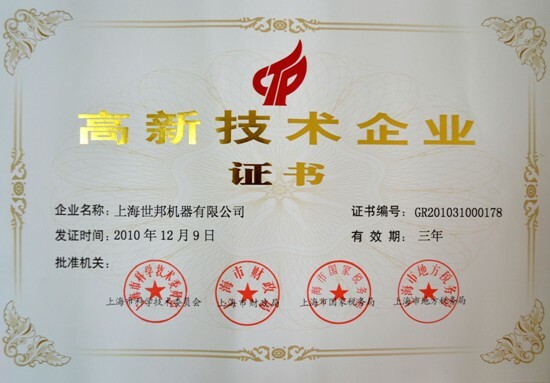 Following the initial receive 'High-tech Enterprise' certification, in early 2011, after a re-examination of the relevant state departments, Shanghai Shibang once again ranks in the 'high-tech enterprises'. Taking the 'innovation' as the source for enterprise development, since its inception Shanghai Shibang attaches great importance to the construction of R & D team. Shibang continues to explore in the mining machinery industry, and gained three more authorized patent product certification in 2011 from the State Intellectual Property Office. All the members adhere to 'energy-saving innovation ' creating the "Made in Shibang" brand with practical action.